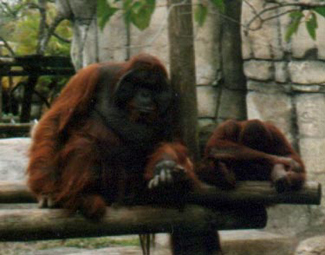 In 1997, we visited Lowery Park Zoo in Tampa, Florida. It's a rather small zoo, but very nice. To save loading time, these are thumbnails. 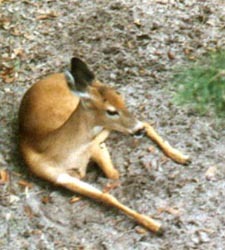 Click on the thumbnail to view the larger picture. 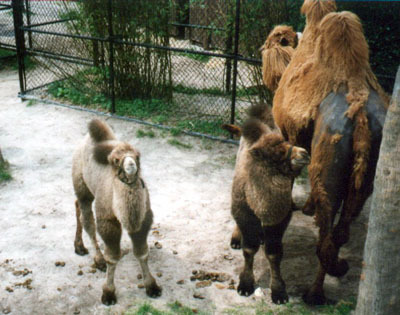 Isn't this baby camel cute?? 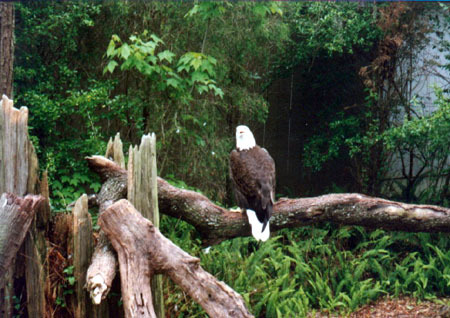 And I loved seeing the majestic Bald Eagle. This mandrill reminded me of Rafiki in the Lion King. What a pretty little deer. 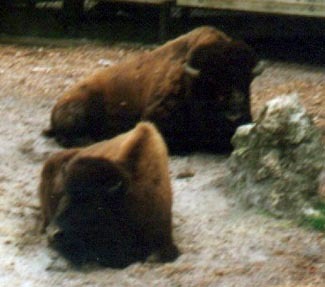 Here's some bison and an orangutan. 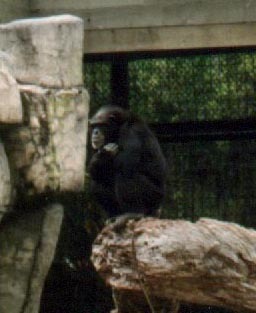 I like to call this picture of the chimpanzee - "The Thinker". This white alligator is not an albino. It was a mutation - this whole litter of alligators was born white with sapphire blue eyes. Unfortunately, he was dozing everytime we went by and this was the best picture I could get. 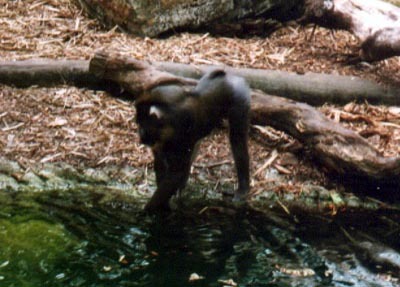 They were found in a swamp in Louisiana and this one was on loan to Lowery Park Zoo for a short time. From their website, you can take a virtual safari. You should visit it if you are ever in Tampa, Florida. I hope you've enjoyed my zoo pictures.